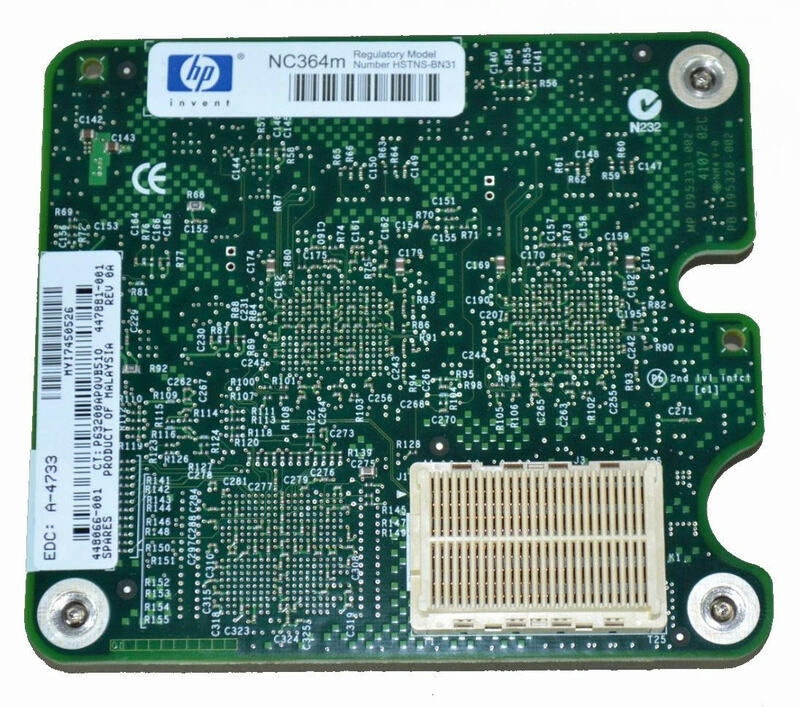 The HP NC364m is a HP BladeSystem c-Class network adapter providing four Gigabit Ethernet ports on a single card saving valuable server mezzanine slots for other purposes. The x4 PCI Express NC364m is supported on Integrity and ProLiant c-Class server blades in all mezzanine slots. For Integrity, it is the first network adapter mezzanine option available providing up to 16 Gigabit Ethernet ports per BL860c server, 128 ports per c7000 enclosure. 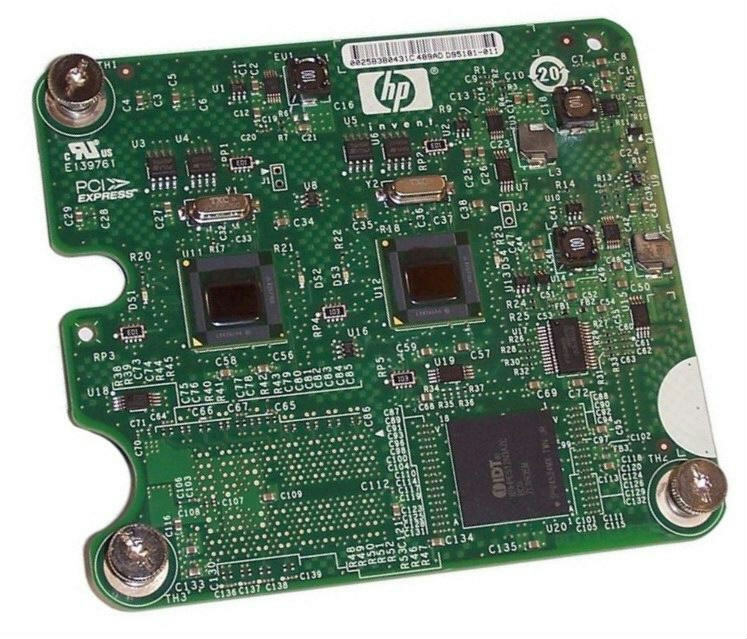 For ProLiant, the NC364m is the second quad-port adapter option for c-Class allowing ProLiant customers a choice between an adapter that uses either an Intel or Broadcom controller. The NC364m is ideal for virtualization, security, server consolidation, network segmentation, and other server applications requiring maximum throughput and port density. The total aggregate throughput of 4Gbps also meets the needs for customers desiring high bandwidth but are not yet ready to move to 10 Gigabit Ethernet. Great Working Condition. Warranty:30 Days.